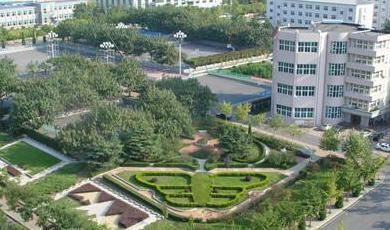 Dongbei University of Finance and Economics (DUFE) is located west to Xinghai Park, a state-level scenic spot in Dalian. It has been well-known for the tranquility and beauty of the campus since the mid-1990s. Founded in 1952, DUFE serves as a multidisciplinary, teaching-and-research-oriented university focusing on economics, management, law, arts, and science. It offers full-time as well as part-time education programs; for full-time programs, DUFE is now offering three first-level mobile stations for post-doctoral research: applied economics, theoretical economics and business administration; four first-level disciplines for PhD programs: theoretical economics, applied economics, business administration ,management science and engineering; 38 second-level PhD programs, 72 master’s degree programs and 31 undergraduate programs. In all the disciplines, there are two key state-sponsored disciplines: industrial economics and public finance (including taxation); one key state -supported disciplines: quantitative economics; and three state-level majors with their own characteristic: accounting, finance and business administration. Taking academic research as the engine of the development, DUFE lays great emphasis on scientific research in order to give a boost to teaching. At present, the university boasts one Key Research Institute of Humanities and Social Sciences of the Ministry of Education, six key research institutes of humanities and social sciences at the provincial level, and 41 research centers and institutes of various disciplines at collegiate level. Over the years, DUFE has followed the practice of holding Famous Scholar Tribune, Doctoral Supervisor/Candidate Forum, or Professor Forum at least once a week; at the same time, the university also invites famous scholars to give academic lectures. To further broaden educational horizons, DUFE began to encourage international cooperation and exchange from 1994, under the guideline of “high standards and internationalization.” With the experience of more than one decade, the university has gradually brought about internationalization in terms of instructional languages, teaching materials, curriculum systems and administration patterns. So far, DUFE has established friendly cooperative relations with 78 universities and one international agency from 18 different countries or regions. DUFE also has over 20 years of experience in international education. It has produced thousands of graduates from over 80 countries all over the world. The university has formed an International Students Education Management System, which includes undergraduate programs, graduate programs, doctoral degree programs and short-term or long-term Chinese and Business Chinese courses. DUFE is a nationally designated Business Chinese Test (BCT) center and a test center for the Chinese Proficiency Test (HSK). 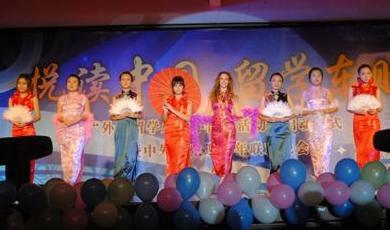 It is also a host institution of China Government Scholarship for international students. 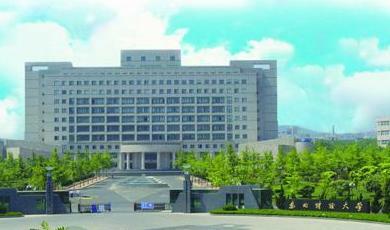 In 2012, in Liaoning Province’s examination and appraisal of international education, DUFE ranked number one. DUFE emphasizes a student-centered educational approach, and our goal is to train the international students to master both economics and Chinese language. The International Institute of Chinese Language and Culture(IICLC) is a designated administrative institution at DUFE to recruit international students and to provide teaching and living facilities to students. IICLC has also established special undergraduate programs in Chinese Language, Economics and Management for international students. The current long-term international student’s population is almost 700, among whom about 75 percent are pursuing degrees. All in all, in 60 years since its founding, DUFE has formed its own charm and characteristics, has established itself as a university with competitive edge and reputation home and abroad, and has achieved much progress in its teaching facilities, education quality, disciplinary systems and scientific research. International students in DUFE are actively engaged in public services. For instance, they help others wash their cars and donate the money earned to those people in the earthquake-stricken area of Yushu, Qinghai Province; they take an active part in the campaign of “Bring culture to the countryside”. 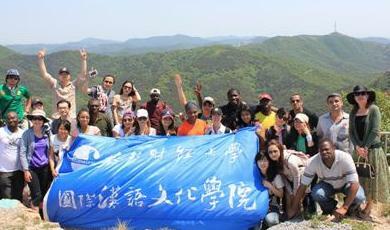 They, together with Chinese students, teach in primary schools in rural areas in their extra-curricular time. Their kind, patient, and warm-hearted instruction and communication with local pupils gain much popularity and respect, and add much honor to DUFE. Every semester, international students (and part of Chinese students) in DUFE will be organized for a visit at some well-known companies in Dalian such as DICT, Intel Corporation and Dalian Software Park, etc.Through the visits and the lectures given by the heads in those famous companies, the students have broadened their minds, become more familiar with the corporate culture and the business operation of these companies, and then enhanced their employability prospects. Societies’ Gathering Party (aks the birthday party of Students' Association Union) is a high-quality activity sponsored by the League Committee of DUFE and undertaken by the Students' Association Union,in each November. There is an awarding ceremony for the Association(s) of the Year and the Person(s) of the Year for their excellent performances during the party. Meanwhile, the programs in the party include dance, operculum, drama, musical instruments and other various performance forms, which show the distinctive glamour and vigor of DUFE’s various societies. The annual DUFE Cups of Football, Basketball, and Volleyball Games are DUFE’s most highlighted sports events. They are organized by the Sports Department of DUFE’s Student Union and have a glorious history. The football and basketball events are usually held in every October while volleyball event in May. The common race schedules of the events are as follows: each college is regarded as one team and the preliminary matches are held in different groups which are decided by drawing lots by different teams; the victorious team(s) in each group are qualified for the next elimination round, which lead up to the finals, then the Champion, Runner-up and Third Place finally come out. These matches offer a platform for students to exhibit their sports talents. Besides, students are also encouraged to do more physical exercises in leisure time, as well as develop their team spirits. The traditional Chinese culture courses, offered by International Institute of Chinese Language & Culture (IICLC), are to help international students have a better understanding of China. In these classes including artistic paper cutting, calligraphy, Chinese Kungfu, ceramic works, students have learnt not only the language but also the cultural atmosphere behind it. 1、 the graduate students who will enroll in 2015 register on 1st September, beginning their classes from 7th September. 2、 the undergraduate students who will enroll in 2015 register on 10th September, having their military training in the first two weeks of their semester., and beginning their classes from 28th September. 3、 The holidays obey to the country’s laws. (2) Currently study or work abroad. (1) All programs in Chinese medium are available. Students may apply one year Chinese preparatory course if their Chinese level do not reach the criteria). (3) If applicants want to apply other major instructed in English, Please contact us for availability. (1) The duration of undergraduate programs is 4 years, master’s program is 2.5 years, and doctoral program is 3 years. Duration for scholarship specified at the admission notice cannot be extended in principle (students may apply for one year preparatory Chinese courses if their level of Chinese language cannot reach the criteria before starting their academic programs.). * The study duration of Master’s programs in English Medium in International Economics and Chinese Studies is two years. (2) Scholarship is full amount including: registration fee, tuition, fee for basic learning materials, accommodation fee, comprehensive medical insurance, and living allowance. (3) International travel expenses are not included. (4) Living allowance is granted to the scholarship students monthly. Doctoral degree students: RMB 3500/month, Master’s degree students: RMB 3000/month, undergraduate degree students: RMB 2500/month. (1) Applicants must be a U.S. citizen who should obey Chinese laws and regulations and university disciplines, respect Chinese customs and habits and have good morality. (5) Applicants have no other scholarships from Chinese government. (2) Register and login CSC Scholarship Application Online System (http://laihua.csc.edu.cn); fill in and submit the application form (Agent number of DUFE is 10173). After submission, please download and print application form. * All application documents will not be returned. Main courses: Intensive Reading, Speaking, Listening, Reading, Advanced and Intermediate Writing, etc. Main business language training courses: Basic Chinese, Chinese Listening and Speaking, Business Chinese, Business Chinese Speaking, China Economic Issues, etc. 3. Certificate of highest degree. The application form can be completed online or downloaded from our website. Application materials can be submitted through email, post or by hand to our office. The application fee can be paid online, at IICLC office in cash, by international postal remittance (via the Post Office) or by bank transfer to our account. 4. An admission notice and JW202 form will be issued after approval of the application. 5. The applicant can bring admission documents and a valid passport to the Chinese embassy or consulate to apply for a visa to enter China. 2. Over 16 years old and healthy. A variety of practical activities: sightseeing, fied trip, language practice activity, etc. Class schedule can be separately designed for group (more than 10 students). Please contact us for more details. 3. Pass the entrance examination (written examination and interview). Fall semester: in the end of June or end of August. 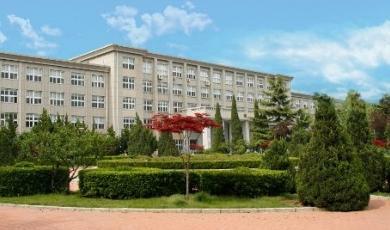 International students can enter all the undergraduate majors in Dongbei University of Finance and Economics. Currently, international students have enrolled in majors including International Economy and Trade, Accounting, Financial Management, Business Administration, Finance, Marketing, Human Resource Management, Tourism Management, Business English, Business Japanese, Chinese Language Literature, E-Commerce, etc. Chinese Written Examination and Interview are held in June and August every year. Mathematics Examination is held at the end of July every year. From middle of July to the end of July, students can take mathematics tutorial classes which are organized by the university. International students can apply to all Master’s programs in Dongbei University of Finance and Economics. Currently, international students have enrolled inl majors including International Trade, Business Management, Finance, Tourism Management, etc. 4. Pass the entrance examination. If you have any questions,please feel free to contact us by email or phone. International students can apply all the doctorial majors in Dongbei University of Finance and Economics. Currently, majors international students have enrolled include International Economy and Trade, Business Management, World Economy, Financial Management, Tourism Management, etc. Current master’s programs in English medium: Business Management and Tourism Management. If students want to study a specified major instructed in English, please contact us to enquire about availability. Current master’s programs in English medium: International Economics and Trade, Financial Management, Business Management and Tourism Management. 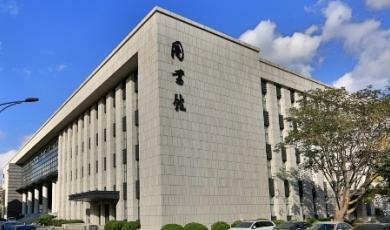 INTO China is authorized to advise students on admission to study English-taught bachelor’s and Master’s programs at Dongbei University of Finance & Economics. Applicants may contact INTO China directly for your enquiries. Current doctoral program in English Medium: Financial Management, International Trade, Finance, Tourism Management, Financial Management, Public Finance, Marketing, Accounting, Quantitative Economics, Management Science and Engineering etc.